EU Regulation lays out a series of measures of compensation for flight cancellations of between 250 and 600 euros, depending on the mileage of the flight. Cabin crew staff have announced that they will go on strike this Friday 28 September. FACUA-Consumers in Action reminds all passengers who may find themselves affected by the most recent strike by Ryanair cabin crew staff that they have the right to compensation of at least 250 euros and to the refund of the cost of their ticket and the expenses they may have incurred due to the cancellation of their flight. Cabin crew unions USO and Sitcpla have announced another day of strikes for this Friday 28 September, after no agreement was reached between workers and the airline. The strike, which takes place in six European countries, has already caused the cancellation of 150 Ryanair flights and is predicted to affect some 50,000 passengers. In Spain, the Ministry of Public Works and Transport has set out the minimum amount of services that should still be fulfilled during the strike. 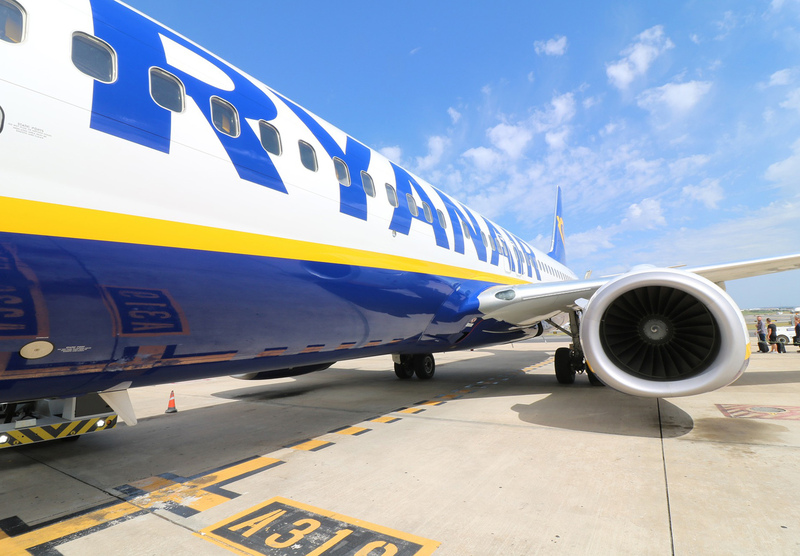 Ryanair will have to guarantee 100% of flights to Spain's non-peninsular the Canary Islands, the Balearic Islands, Ceuta and Melilla, 59% of domestic flights under five hours where there is no alternative means of transport, and 35% of all other flights. FACUA reminds customers that European Regulation 261/2004 establishes a series of compensatory measures for cancelled flights. Article 7 of the regulation states that "passengers shall receive compensation amounting to EUR 250 for all flights of 1,500 kilometres or less; EUR 400 for all intra-Community flights of more than 1,500 kilometres, and for all other flights between 1,500 and 3,500 kilometres; and EUR 600 for all other flights". The association also reminds the airline that a sentence from the Court of Justice of the European Union given in April this year asserted that a workers' strike was not considered an example of "exceptional circumstances", meaning the company could not refuse to pay compensation. Additionally, Article 5, Section C of this European regulation stipulates that the airline would not be required to pay this compensation provided passengers "are informed of the cancellation at least two weeks before the scheduled time of departure" or "are informed of the cancellation between two weeks and seven days before the scheduled time of departure and are offered a re-routing which allows them to depart no more than two hours before the scheduled time of departure and reach their final destination less than four hours after the scheduled time of arrival" or "are informed of the cancellation less than seven days before the scheduled time of departure and are offered a re-routing which allows them to depart no more than one hour before the scheduled time of departure and reach their final destination less than two hours after the scheduled time of arrival". The Spanish Agency of Consumers, Food Security and Nutrition (Aecosan), part of the Ministry of Health, has also taken a stance on the matter. In a document addressed to FACUA, it stated that "a strike in a company that is organised by its own crew members, its own personnel, cannot be considered an exceptional circumstance". In addition to the compensation measures already discussed, Article 8 of the EU Regulation lays out the right to reimbursement of the total cost of the plane ticket within seven days or a re-routing. Further, Article 9 of the same regulation provides that affected passengers must be offered "meals and refreshments in a reasonable relation to the waiting time", hotel accommodation when necessary and transport from the airport to the hotel. Furthermore, independently of the compensation established by the European Regulation, FACUA notes that all passengers can claim further compensation for any damages and losses they may have suffered whether they be damages to person or property. The association also notes that in July, during this summer's cabin crew strike, it wrote to the Ministry of Public Works and Transport and the Ministry of Consumer Affairs demanding that they oblige airlines to reimburse the cost of tickets as soon as a strike is announced.